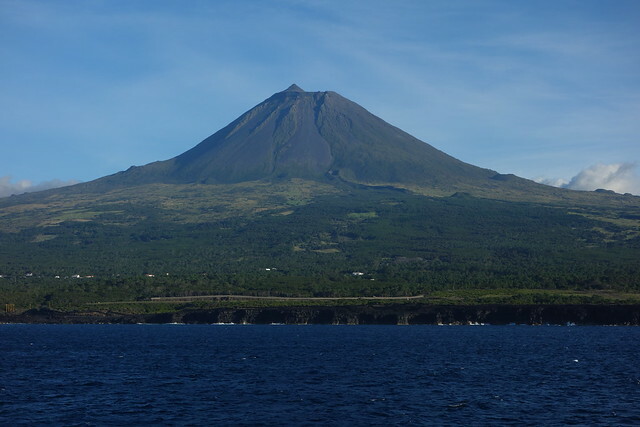 Pico is a stratovolcano located on the eponymous island of the Azores. It is the highest mountain of Portugal, with an elevation of 2351 meters. Here it is from the sea. 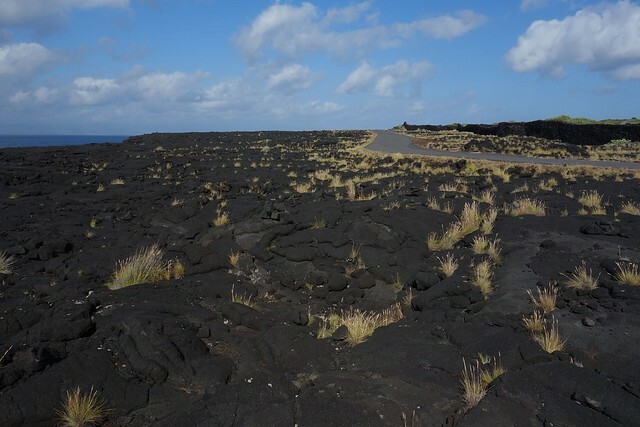 You can see Piquinho, a cinder cone, at the top. The climb begins with stunning views! 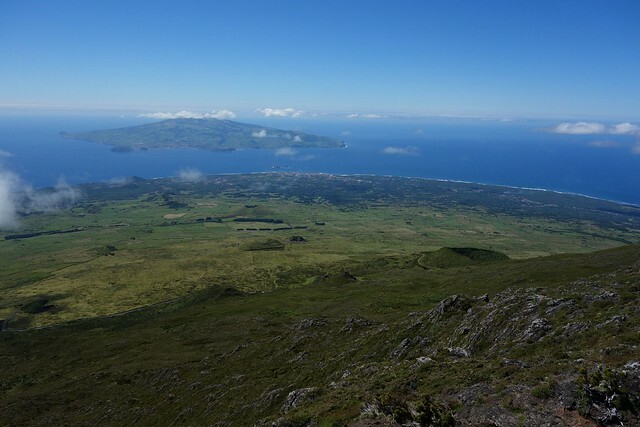 Here the neighboring island of Faial, and some small cones at the feet of the giant. 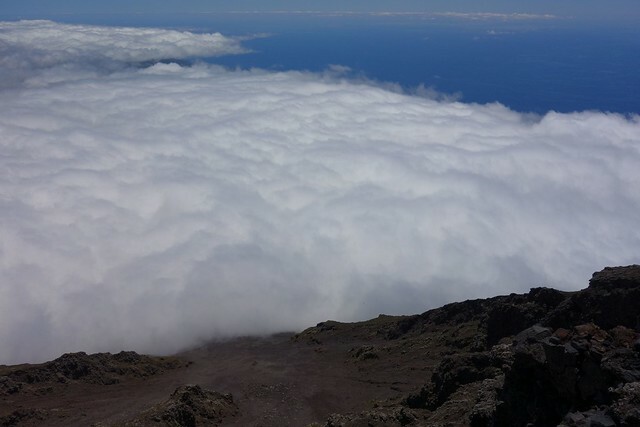 After 4 hours walking on harsh a’a’ lava, the summit is reached above an ocean of clouds. 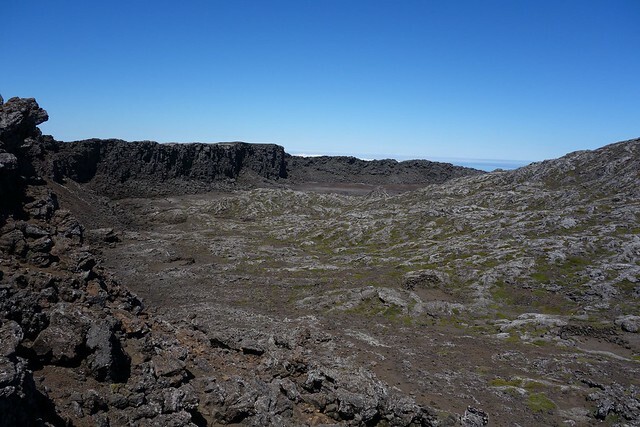 Part of the crater. 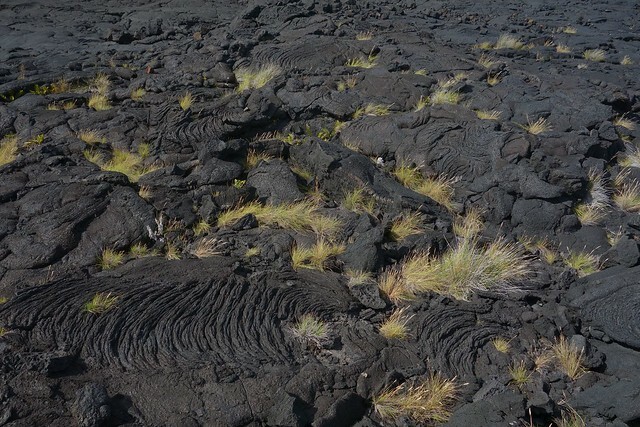 It is about 500 meters in diameter and 30 meters deep. Piquinho from inside the crater. 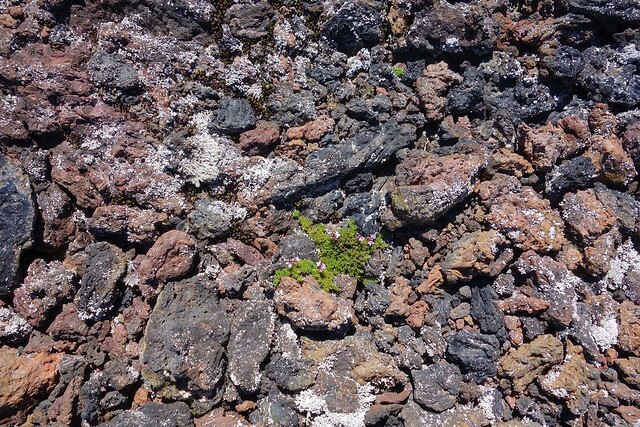 Life goes on among the scoria. 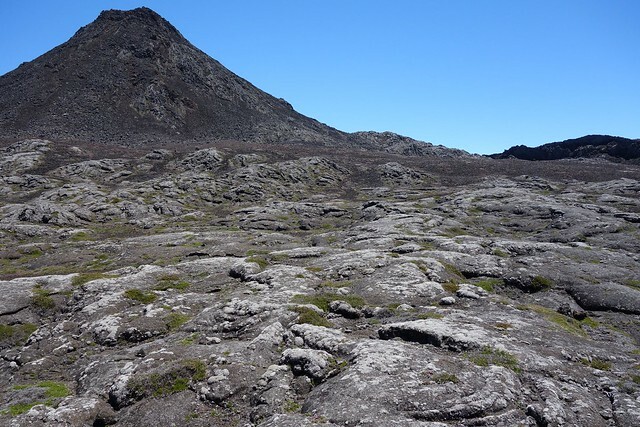 On the North coast, the 1718 Santa Luzia lava flow is still quite “fresh”, with some nice ropy features.